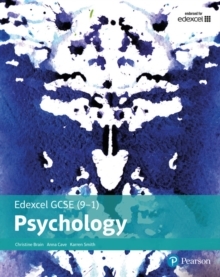 Exam Board: EdexcelLevel: AS/A-levelSubject: PsychologyFirst Teaching: September 2015First Exam: June 2016Reinforce students' understanding throughout their course with clear topic summaries and sample questions and answers to help your students target higher grades. 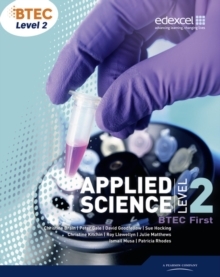 Written by experienced teacher and examiner Christine Brain, our Student Guides are divided into two key sections, content guidance and sample questions and answers. 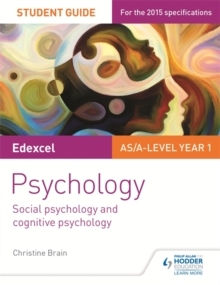 Content guidance will:- Develop students' understanding of key concepts and terminology; this guide covers social psychology and cognitive psychology. 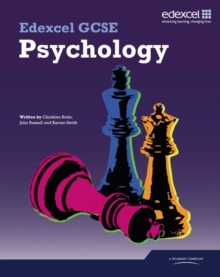 - Consolidate students' knowledge with 'knowledge check questions' at the end of each topic and answers in the back of the book. Sample questions and answers will:- Build students' understanding of the different question types, so they can approach each question with confidence. 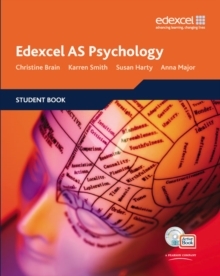 - Enable students to target top grades with sample answers and commentary explaining exactly why marks have been awarded.